I was deeply affected by the loss of so many people as a result of the Humboldt bus crash. 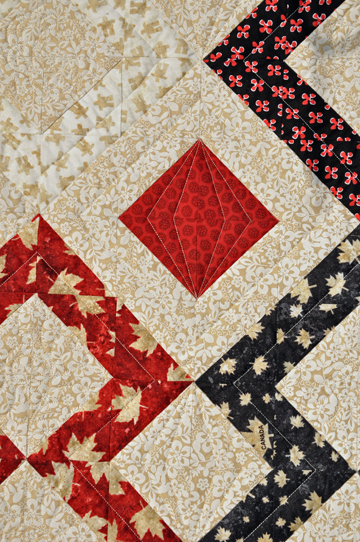 The Saskatoon Modern Quilt Guild put out a call to quilters across Canada asking us to make and donate quilts to give to people who had been directly affected by the crash. They asked for 200 quilts. I knew I wanted to help. Then I found out that one of the victims was member of a friend’s extended family. Instead of making a generic quilt for the group, I decided to make an quilt dedicated to the family who lost their son. I hope that it will provide some comfort to them. I volunteered to do the free motion quilting for members of my quilt guild who made a quilt top for Our Lady of Grace. 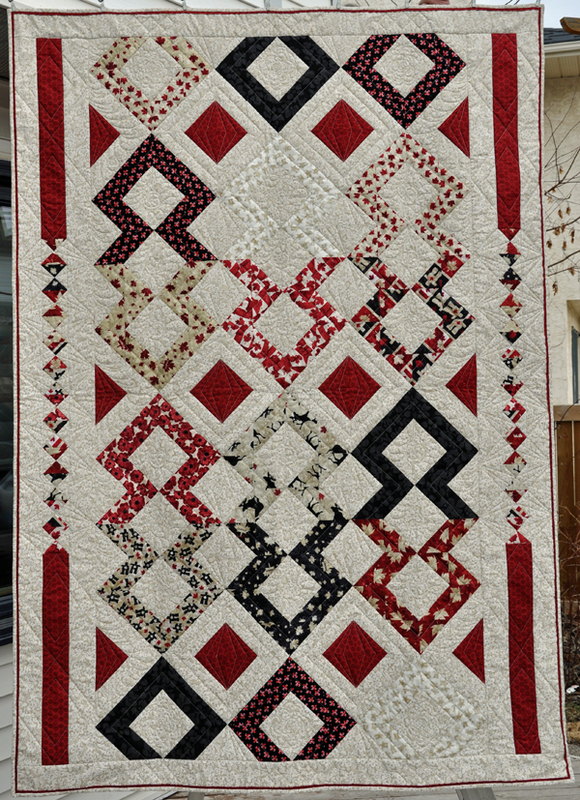 Ioleen pieced this quilt from blocks that were donated by guild members. She gave me the freedom to quilt it however I wanted to. 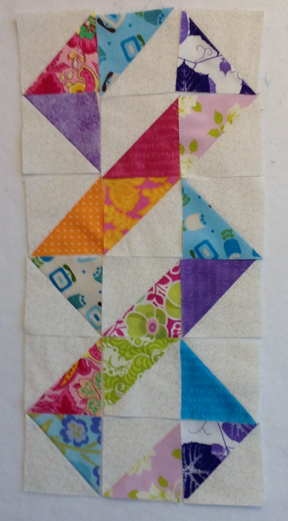 As usual, once I get going on the longarm I can’t stop myself. Hopefully she will like it.